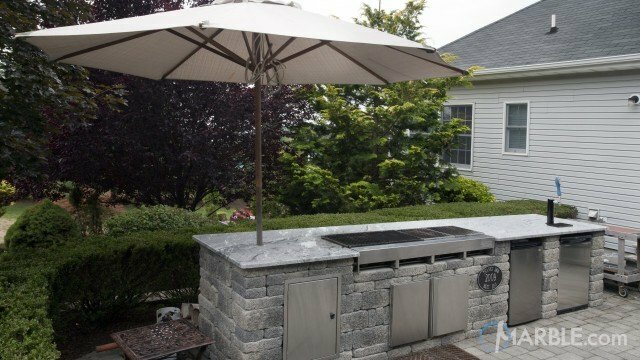 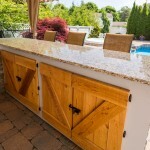 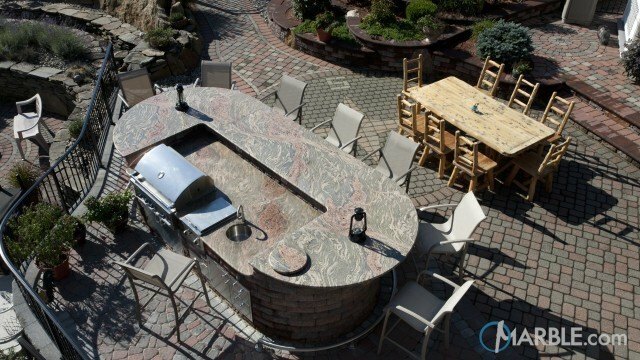 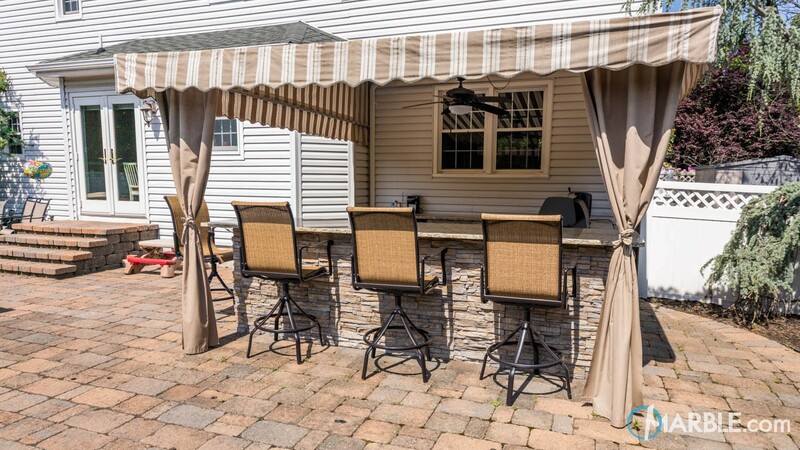 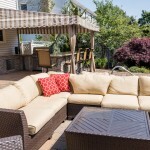 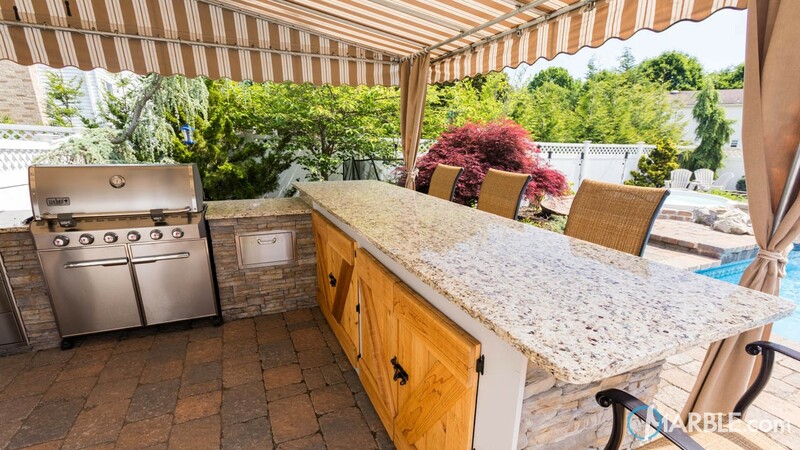 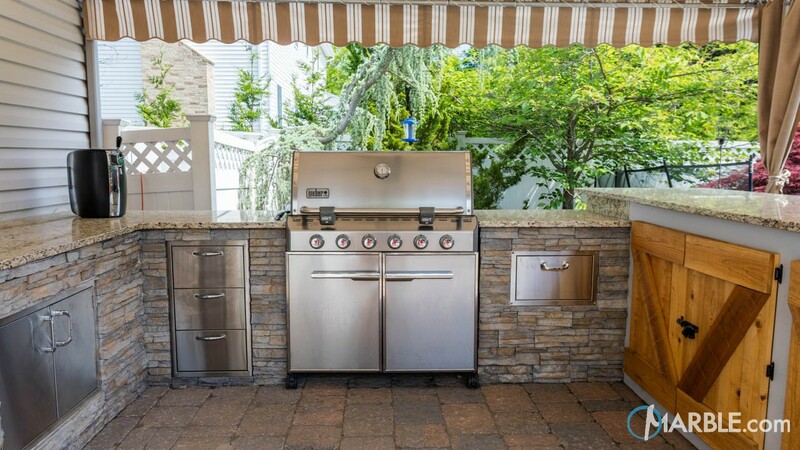 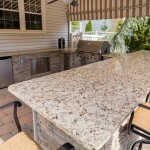 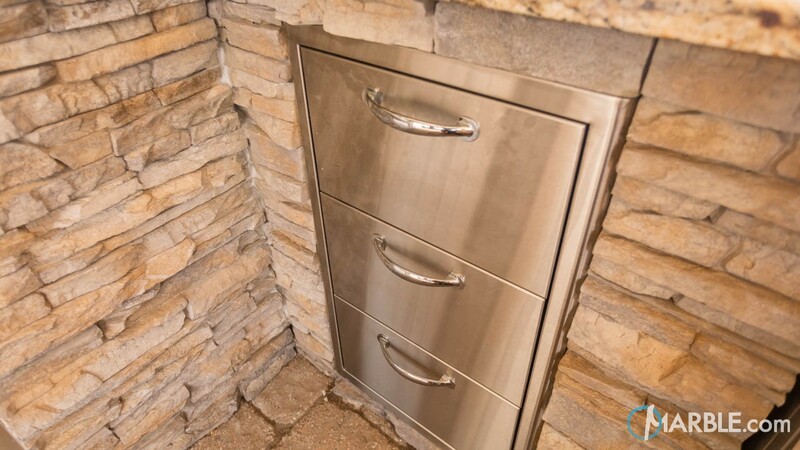 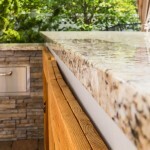 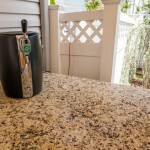 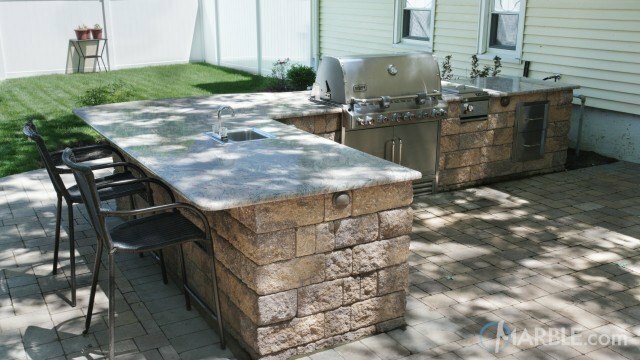 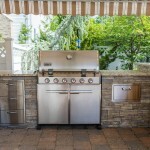 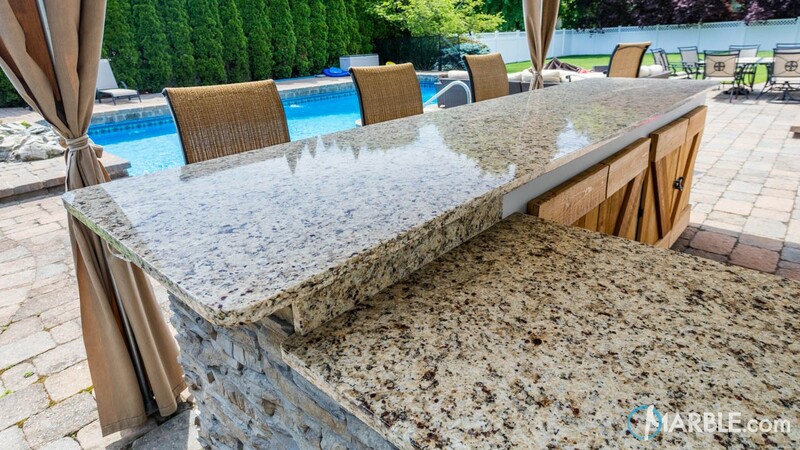 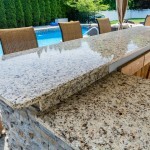 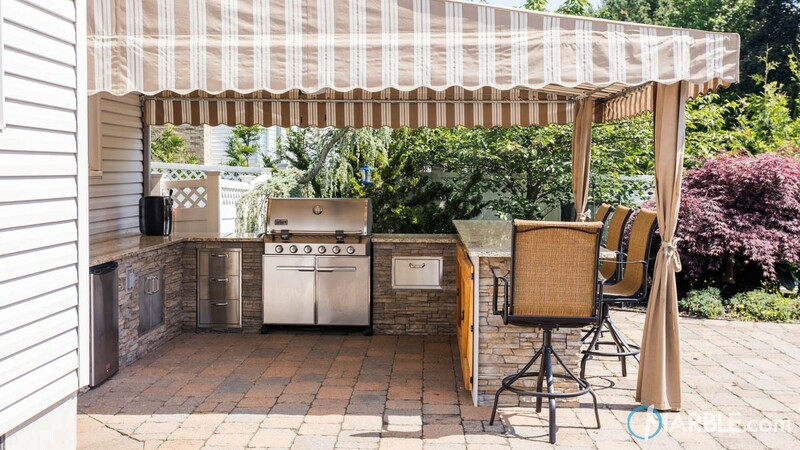 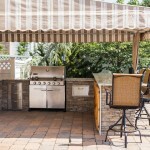 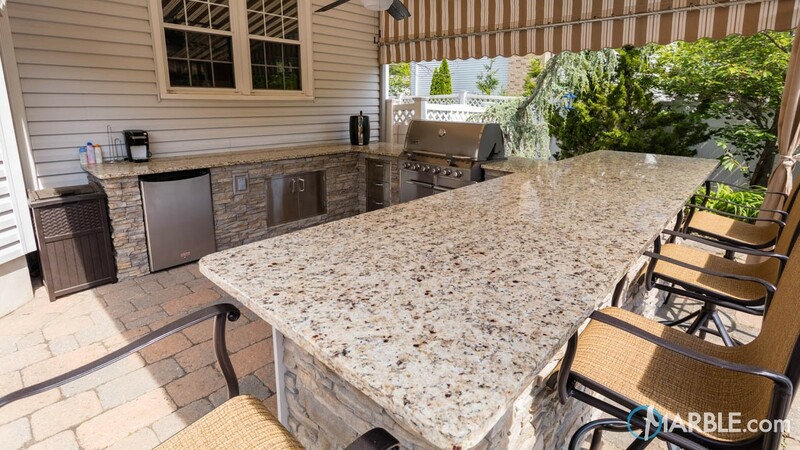 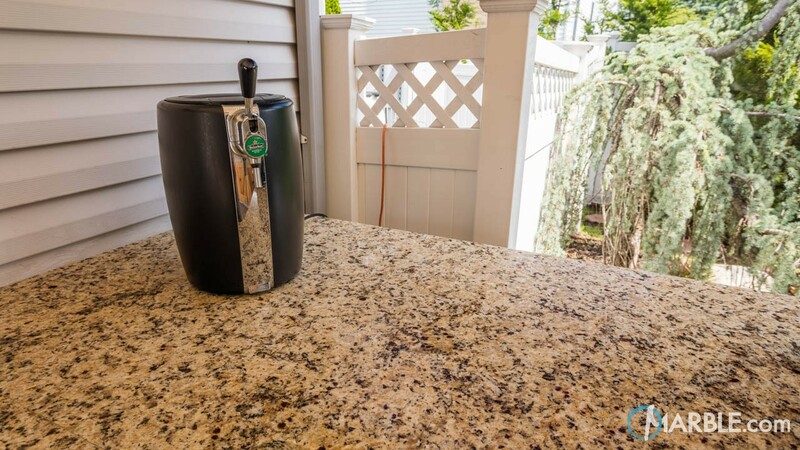 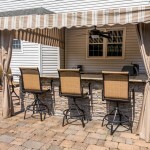 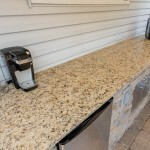 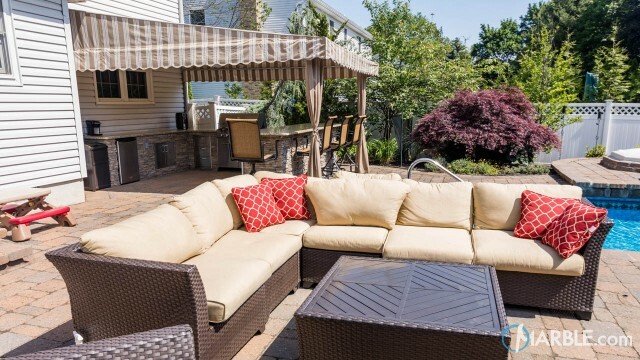 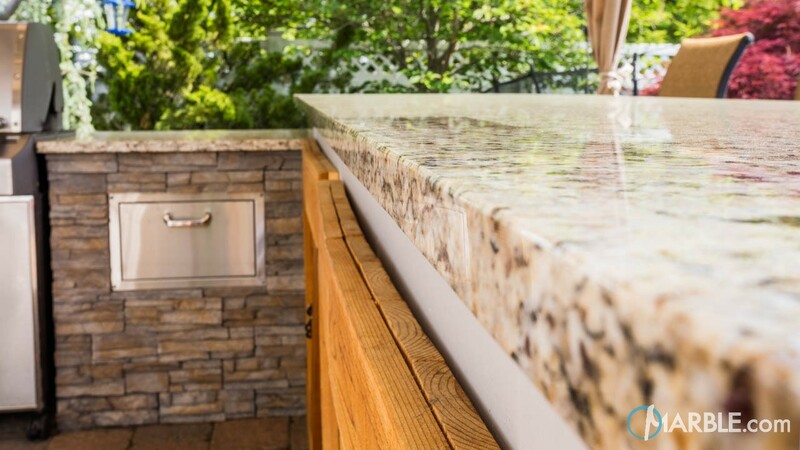 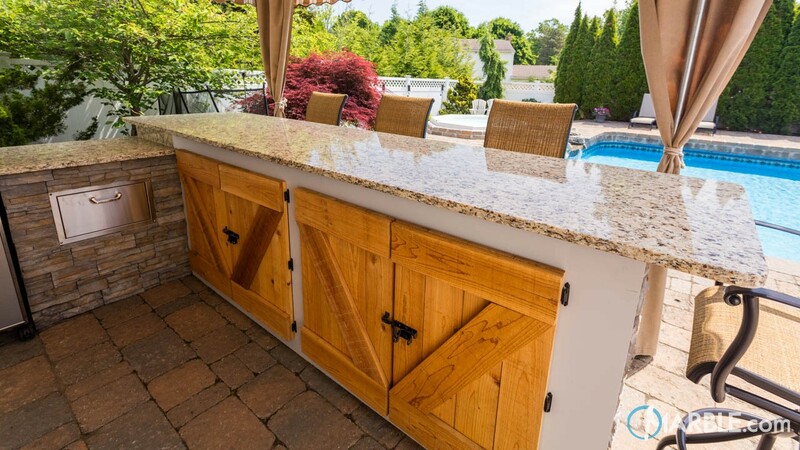 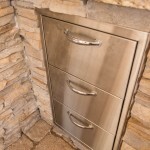 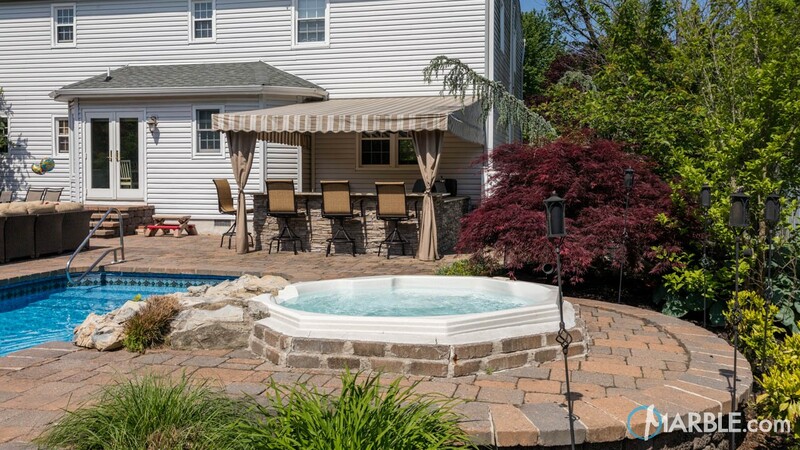 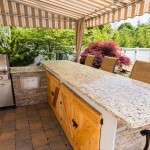 Granite works well outdoors and this Giallo Napole granite looks great in this outdoor grill area. 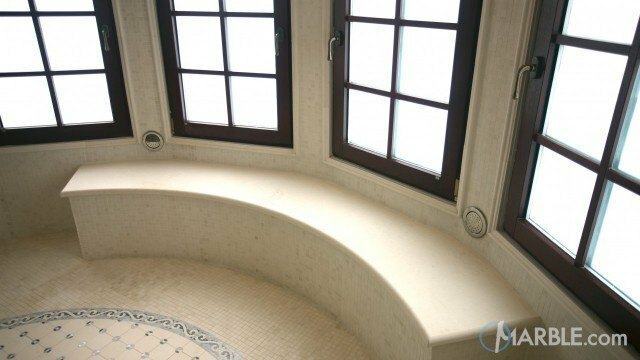 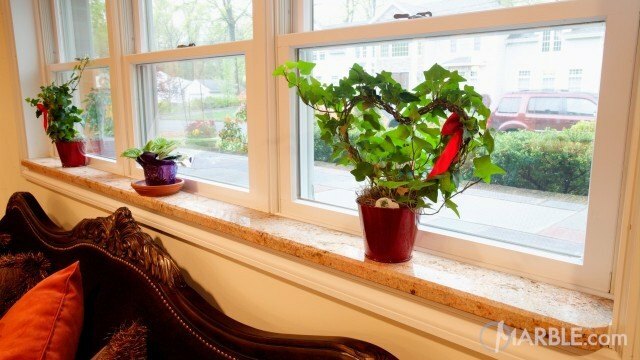 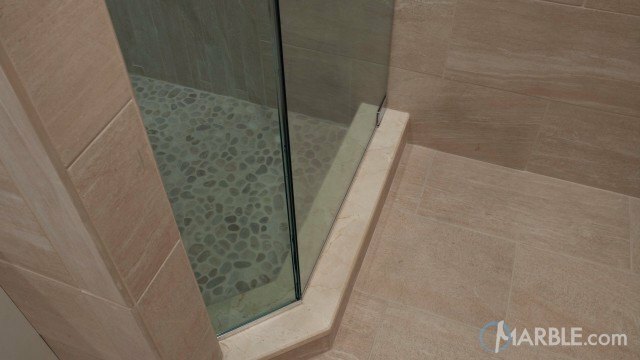 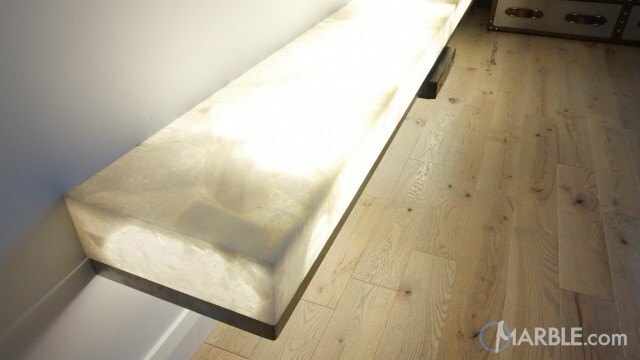 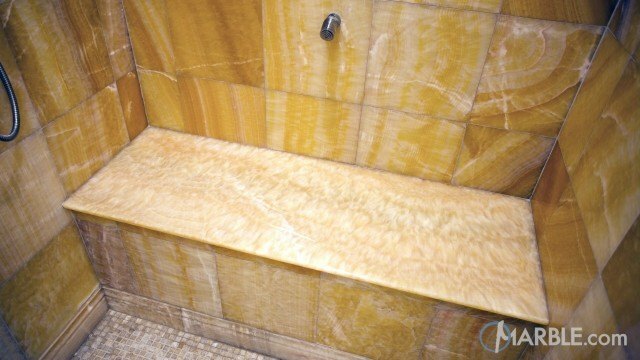 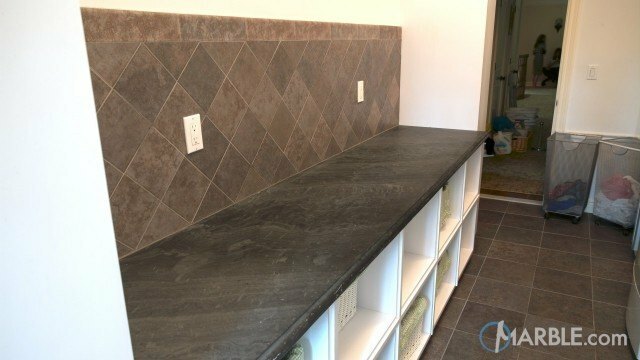 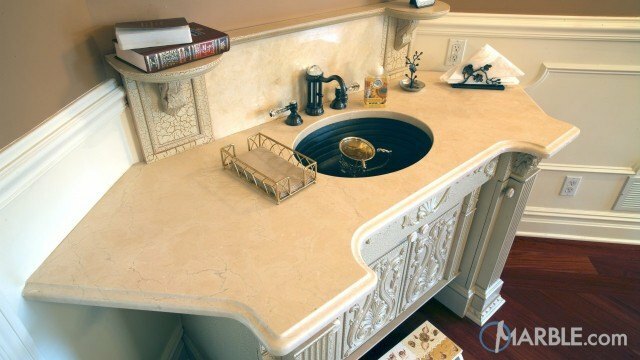 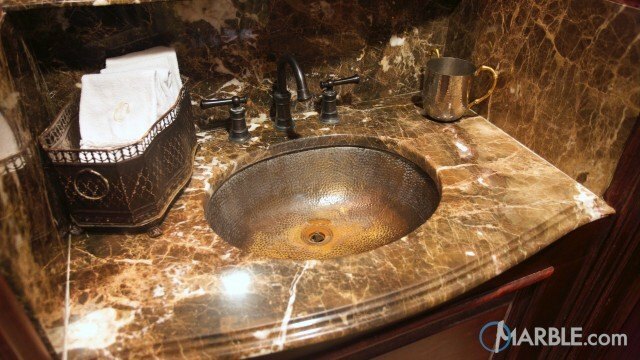 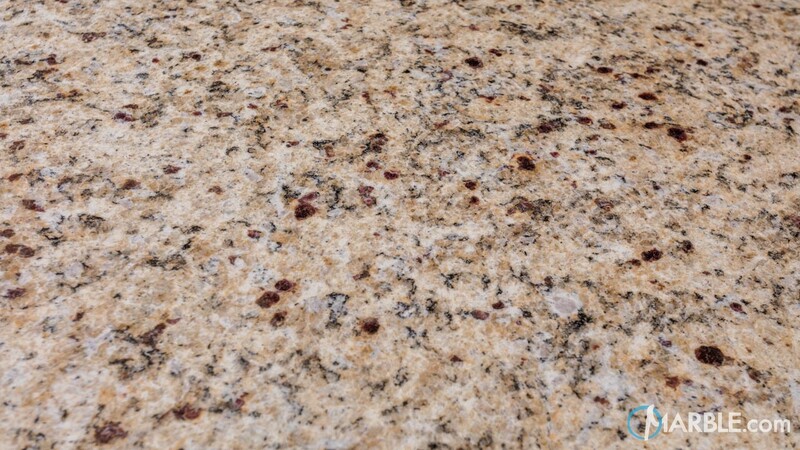 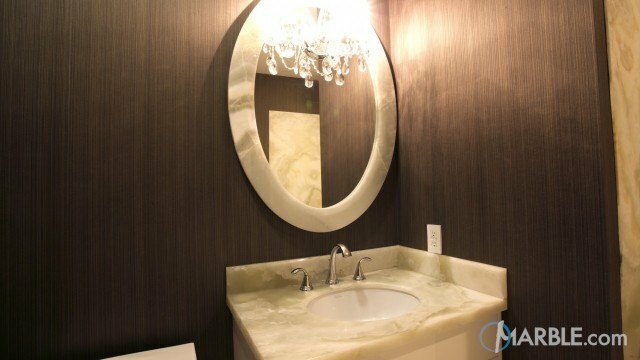 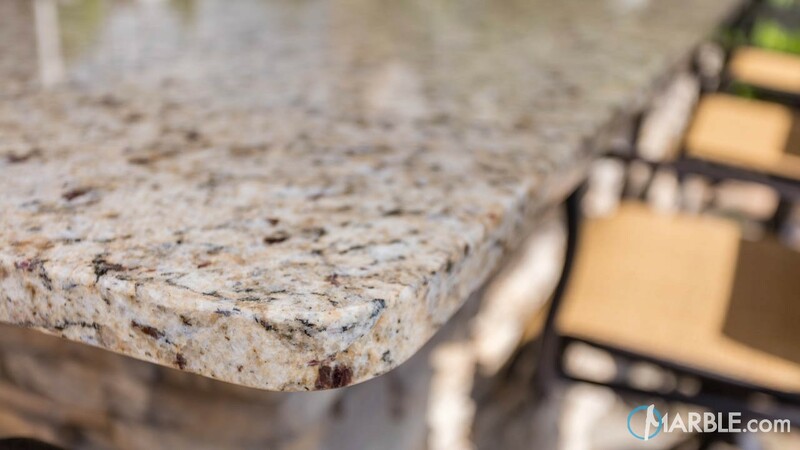 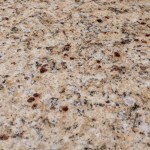 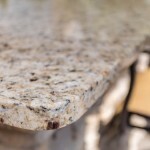 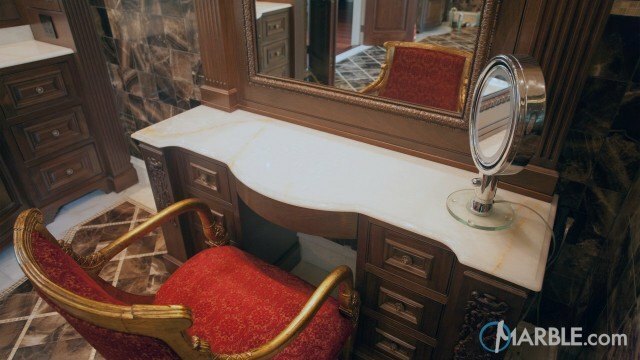 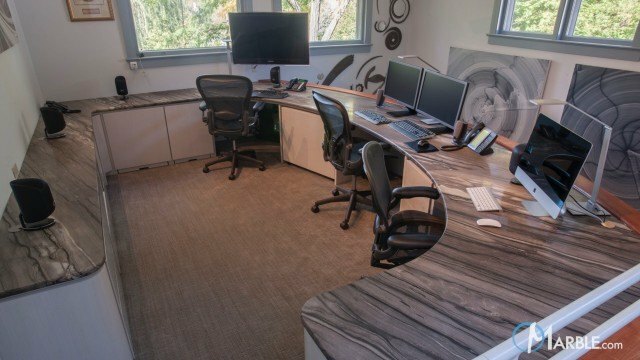 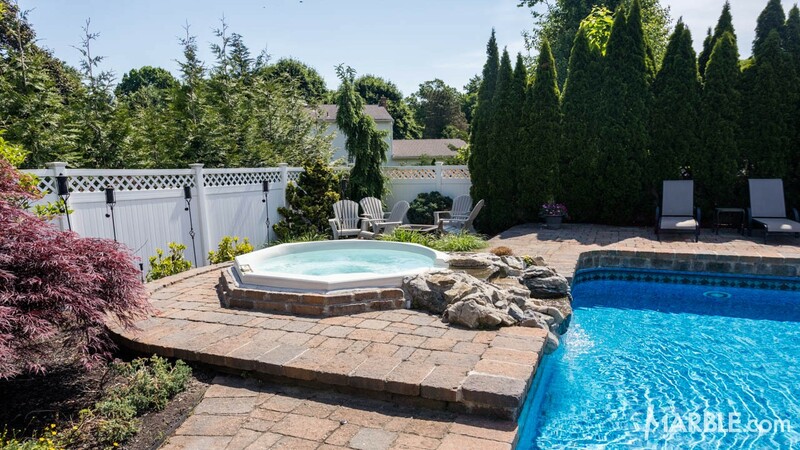 The off-white, beige color of this stone has golden highlights and dark burgundy flecks that pair well with all the brown and neutral colors you see in this area. 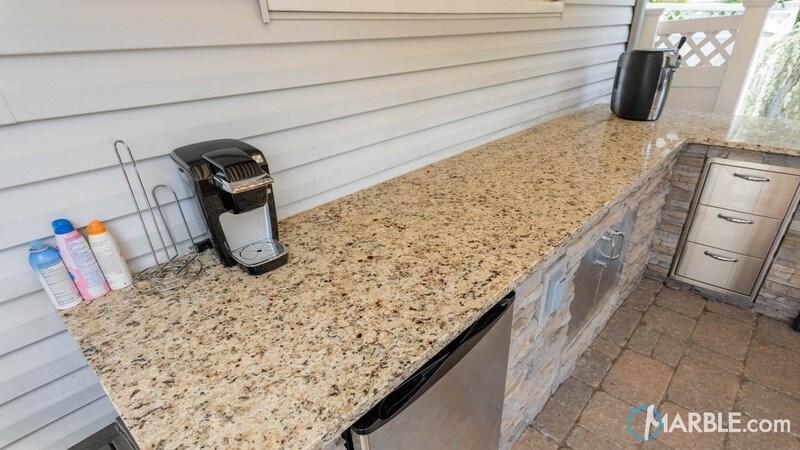 It looks great with the stainless steel appliances also!